The book still comes out October 6, and you can and should still preorder it from Amazon, Barnes & Noble, or Powell’s. 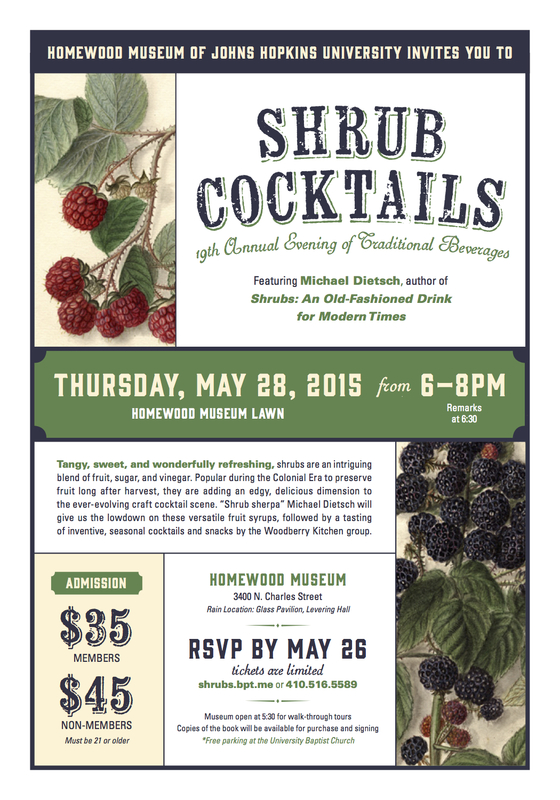 I recently spoke with Kara Newman at Tasting Table about shrubs. You can and should read that here. I also recently spoke with Paul Clarke at Imbibe magazine. Paul was doing a photo feature on shrubs, and the piece included a quote from me and a couple of my recipes. You can’t find it online, but here’s a supplemental piece on the website. We’re currently firming up other media appearances, a radio appearance or two, and possibly some in-person events, if you want to see my mug live and up close. More to come.